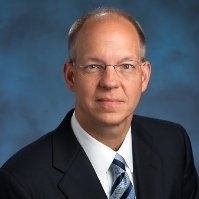 He served as Senior Vice President and Chief Technology Officer of the Lockheed Martin Corporation for 9 years (2006 to 2015), where he oversaw engineering, technology, production operations, global supply chain, program management, and logistics and sustainment. He led more than 67,000 people, working on more than 4,000 programs. He continues to interact at the highest levels nationally and internationally with officials in government, industry, and academia, and he is frequently sought as an expert in the media and as a speaker on business, strategy, innovation, and education. Before joining Lockheed Martin, Dr. Johnson was the COO for Modern Technology Solutions, Inc. of Alexandria, VA and held executive positions with Science Applications International Corporation (SAIC), including Senior Vice President and General Manager of the Advanced Concepts Business Unit. The function of the IoT Community, is to focus on the adoption & application of IoT in commercial environments, seeking to understand & contribute to applying the technology or overcoming the wide variety of barriers, inhibitors, and technical & operational issues. As a member of the board, Ray will provide impartial input and guidance to the overall vision, strategy and execution that is helping to shape the current and future direction for the IoT Community, as well as the broader IoT industry.